Every hair styling aspirant dreams of serving as a professional hair stylist at some branded salon. 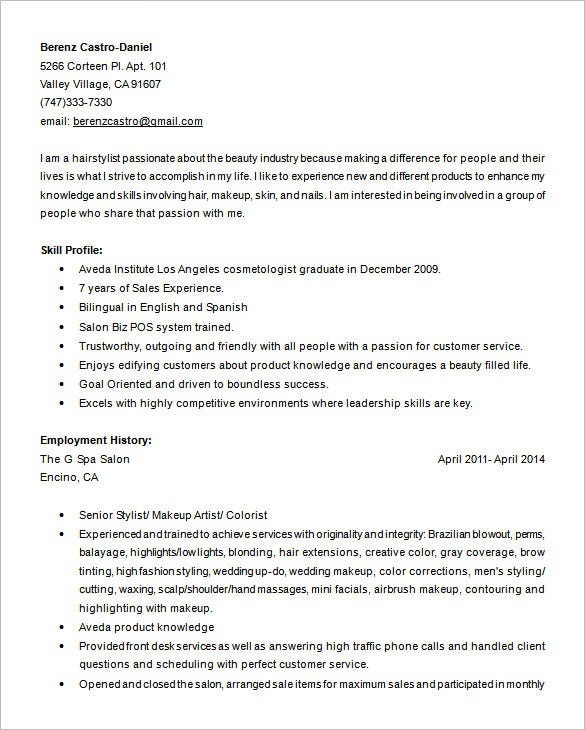 If you too have been nurturing the same dream, this is what you need- a Professional Hair Stylist Resume Template. These templates simply work wonders. 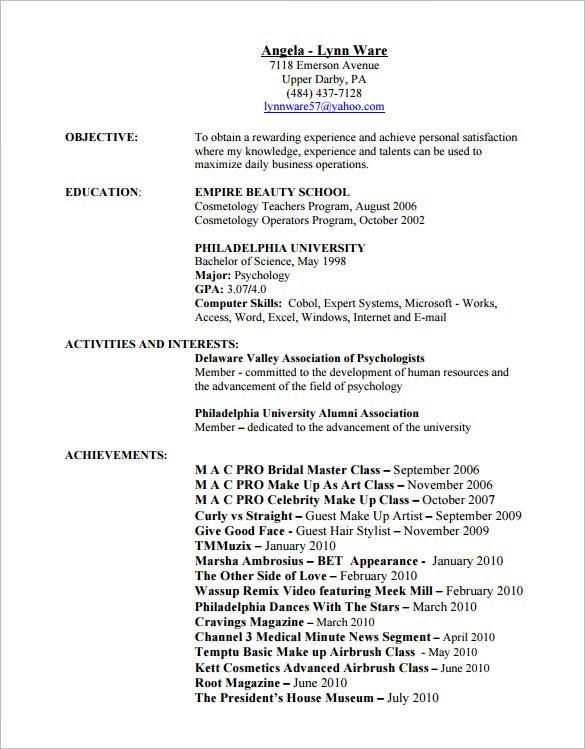 Use them as a reference document to create your own resume, and sky will be the limit for you. cesdoffcampus | If your forte is cosmetology, then it would be valuable for you to know that there is stiff competition in this industry. 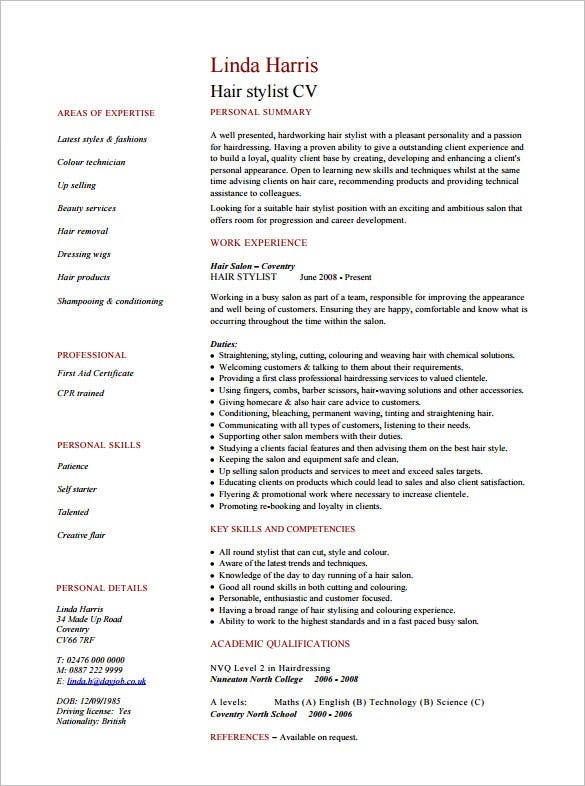 And that is why you must be equipped with all the necessary tools including a good resume. 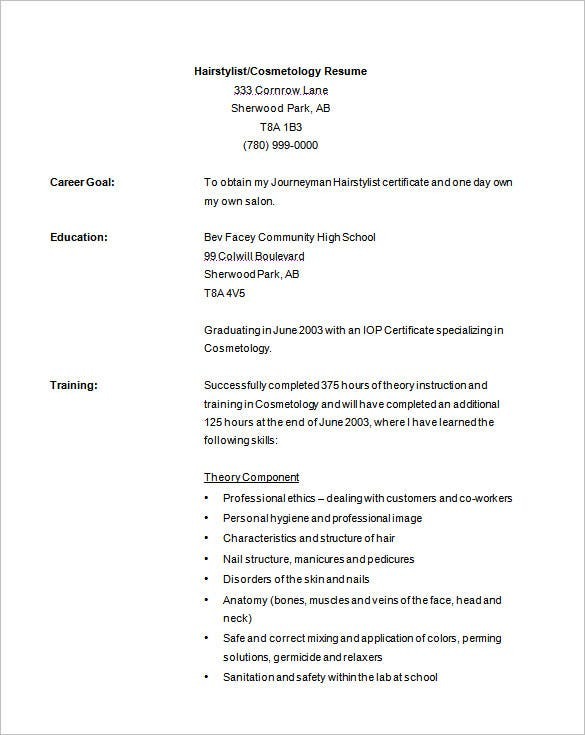 If you are not good at creating resumes, you can take help of a Cosmetology Resume Template. 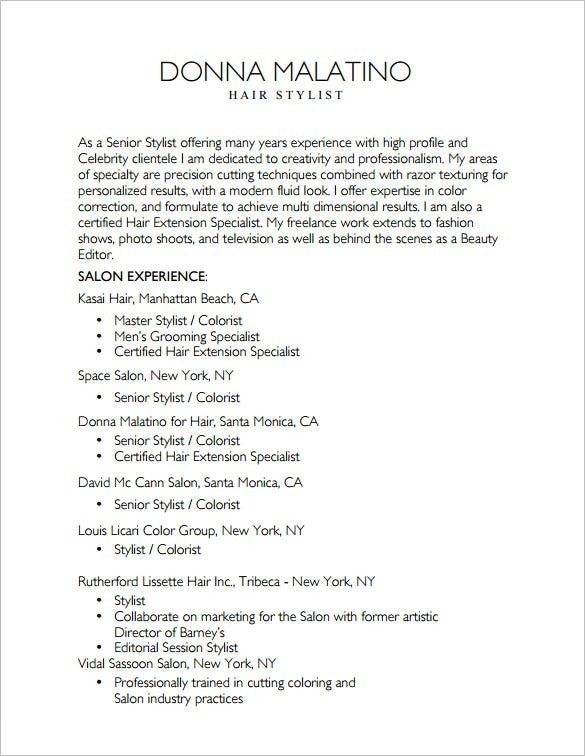 donnamalatino.com | Most master hair stylists charge incredibly high rates. And that is why affluent people and celebrities make their clientele. 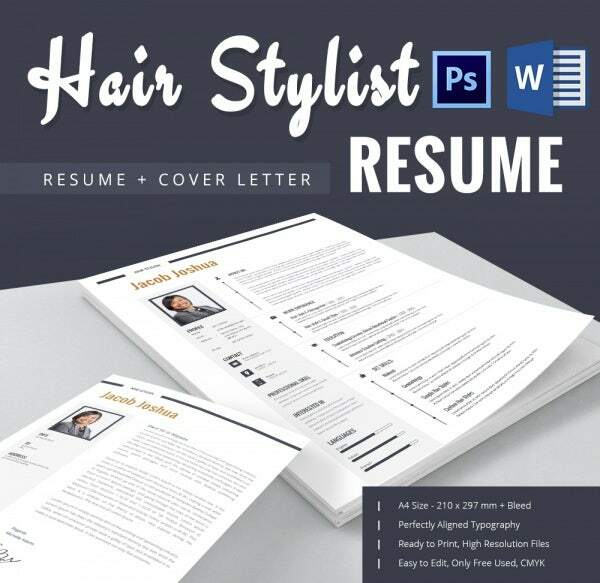 If you want to become a master hair stylist in the coming times, you must impress your recruiters with an impactful resume. 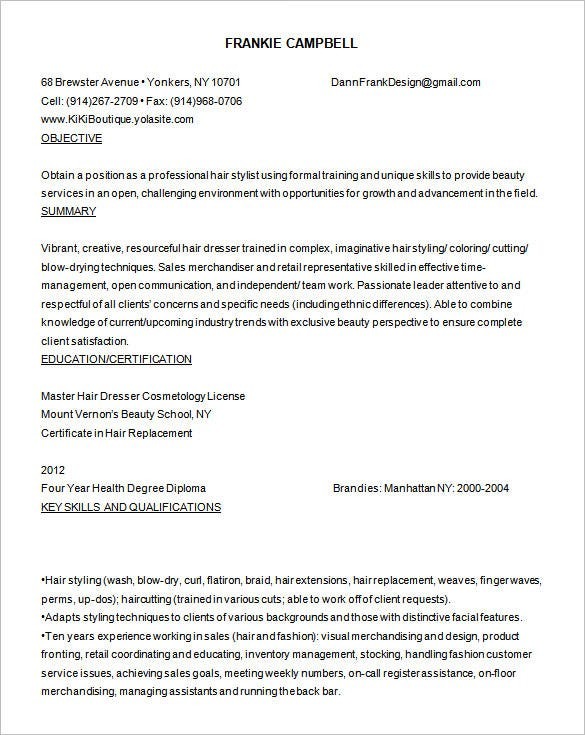 You can use a Master Hair Stylist Resume Template for reference. Why these templates are must-haves? Hair styling is a glamorous job. And the fact that it helps one meet and interact with different kinds of people, sometimes even celebs, makes it an absolute favorite among youngsters. Most youngsters go to even faraway places for a degree or diploma required to pursue a career in this field. And with this certificate in their arsenal, they set out to contend for their dream jobs. But the harsh reality here is that recruiters don’t get easily impressed. And what you need to impress them is a close-to-perfect resume. You will be happy to know that templates help a great deal in this respect. You will realize this only after putting one into use. 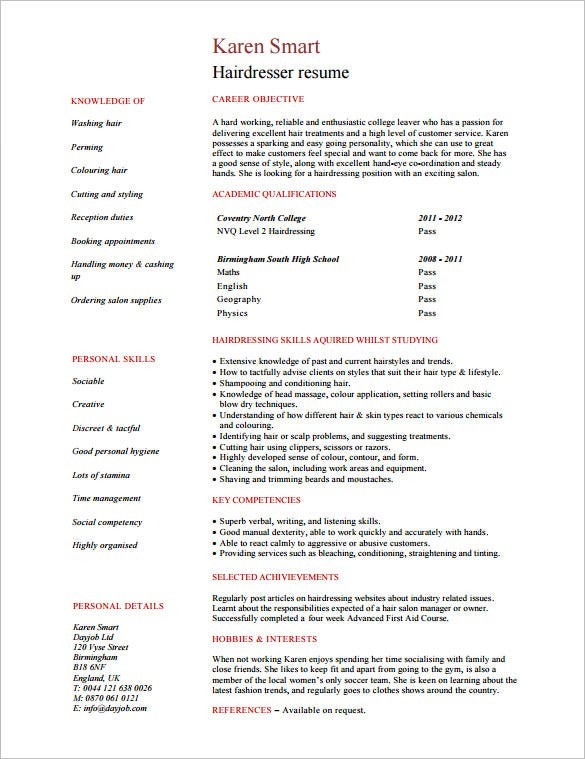 These templates can be downloaded from any web source. But make sure it’s authentic and dealing in good quality templates. Once you finalize the source, you can download as many as you need. You may or may not be asked to pay for this. 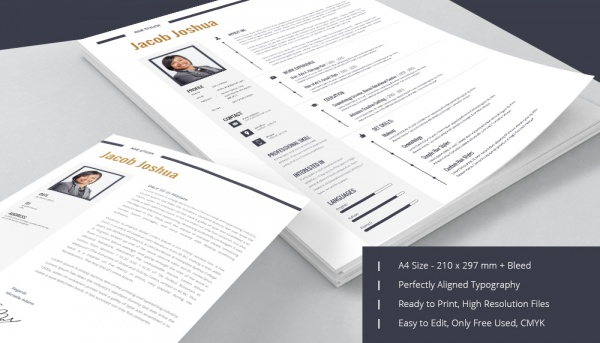 Most templates are ready-to-print and offer good quality on paper.